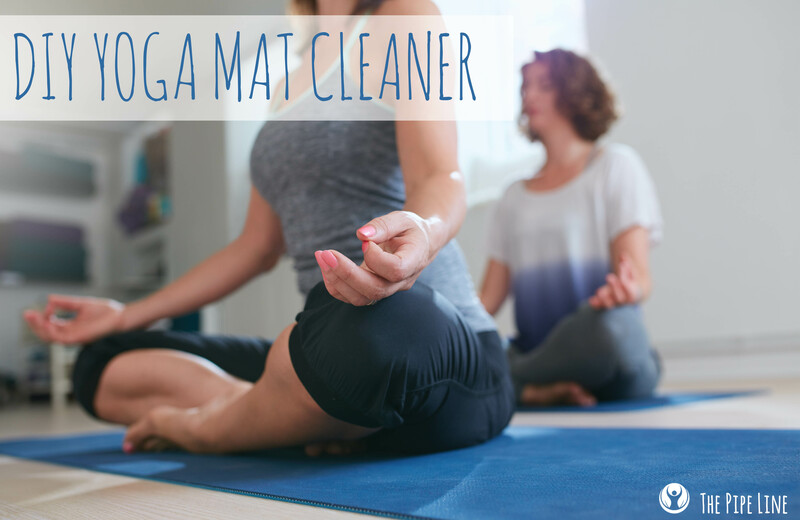 Keeping a clean mat can help you keep a clear mind. If you use the same yoga mat regularly then you can understand how important it is to keep it clean. The dirt, dust and funk that your mat picks up over time can add up quickly and will have a smell that will definitely become overwhelming. You don’t want to be distracted during your asana practice by the stink on your mat because, let’s be real, it’s hard enough not to be distracted by your unkempt toe nails. Cleaning your mat with essential oils is a great option for a plant-based alternative to store bought cleaners. Since your body is constantly touching your mat, you do not want to use chemicals that may harm or irritate your skin. Essential oils can be a safe and effective way to clean and make for a fun at home project. Place all ingredients into the spray bottle, shake well and spray on your mat. Wipe your yoga mat clean with a towel and let it air dry. Try not to roll up your mat immediately after cleaning it and if possible leave your mat out in the sun to dry. Now, when you’re face planted in class you can take a deep breath and inhale the refreshing scent of your clean mat.